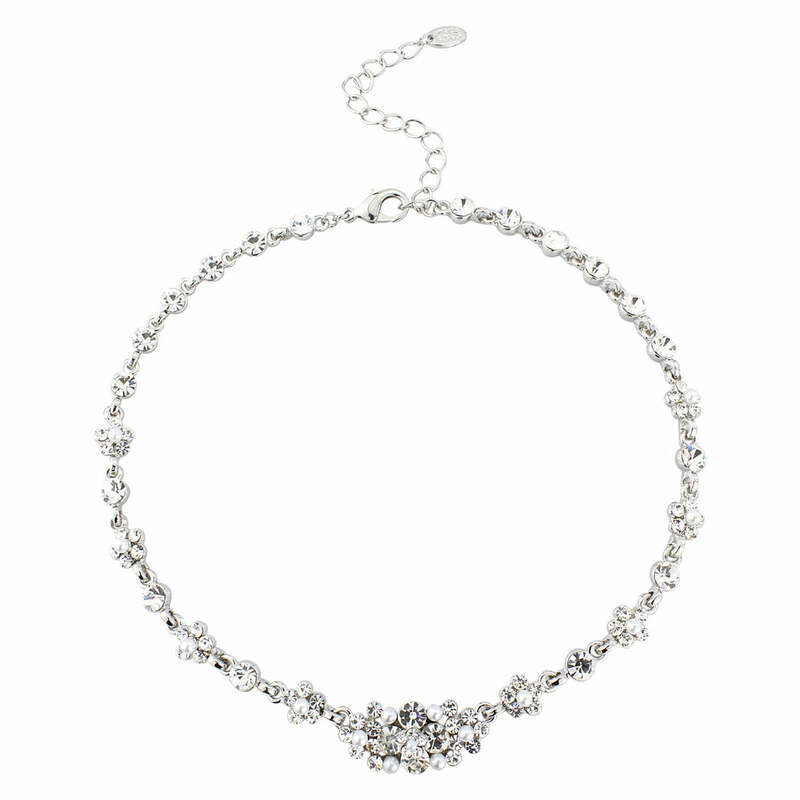 The perfect necklace for women who adore the glamour of Hollywood's Golden Era. Delicate Pearl Necklace is an enchanting crystal and pearl necklace which has taken inspiration from the Golden Hollywood era of the late 1940s and early 1950s. Featuring a bejewelled cluster centre with light ivory faux pearl accents on a chain with sparkling crystal flowers with pearl centres and single crystal studs, it sits beautifully on the collar bone with timeless elegance. The perfect accessory for a dinner date or black tie event, it looks sensational coordinated with Delicate Pearl Bracelet and Earrings for Silver Screen glamour. 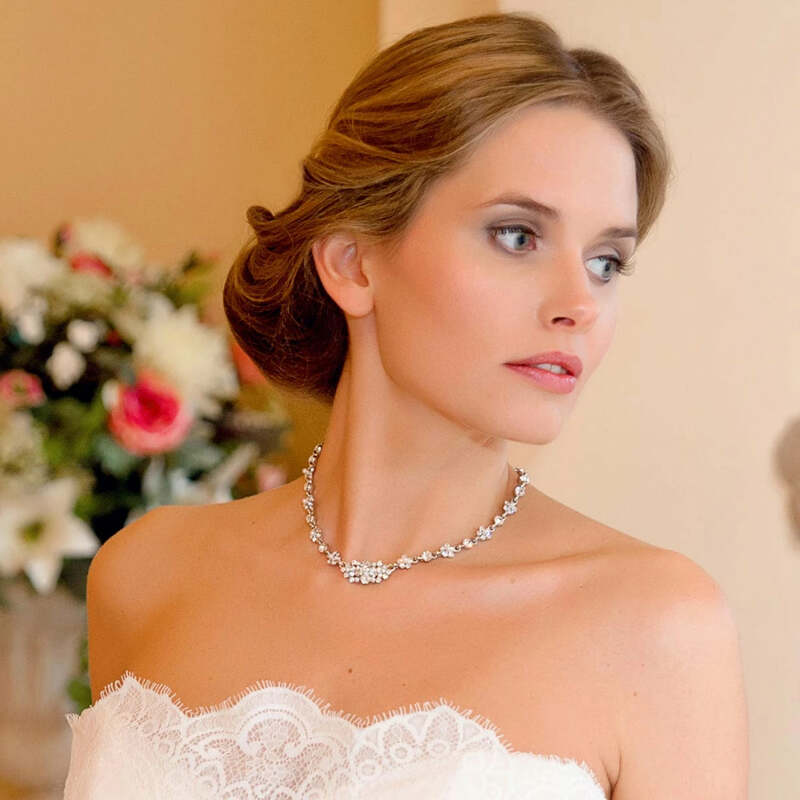 Brides who adore vintage inspired costume jewellery will fall in love with the elegance of this beautiful wedding necklace which will look divine with an elegant floor length gown or 1950s style tea-length dress. For Starlet style, team with a pearl and crystal encrusted hair comb set in a side chignon. Arrived today, and oh my gosh! This is so beautiful and so sparkly, I absolutely love it. I ordered the matching earrings too, which are equally as beautiful! It's stunning, I am so pleased with all 3 of my items.